The data bundles are valid for the associated stipulated times- any unused data will be forfeited by midnight of the valid date. Data cannot be carried over and cannot be transferred. Auto-renewal WILL ONLY BE APPLICABLE to monthly plans. For plans with capped limits, customer will be charged on pay-as-you-go rates for further data transactions upon expiration of the BlackBerry bundle OR any other bundle subscribed to (where applicable). Customers will get the associated SMS reminder before service expiration - based on whichever data bundle plan they are on. All data usage is LOCAL, i.e. within Nigeria alone. Glo claims it's bbc and bis both have 3gb data allowance. Airtel gives 1GB on it's bbc, and yes, it can be used on Android and PCs. That's what I'm using to reply to your question via my Samsung Android phone. I also use it on my PC. do i need any settings to use it on my android fone. No. Just put in the Airtel SIM. The phone will detect the settings automatically. If it doesn't, lemme know. PLEASE I WANT TO USE ETISALAT BIS ON MY ANDROID. WHO SHOULD I DO? Hi, I don't know of a way for you to use Etisalat BIS on your android. Hi, can you see EDGE? If yes, check the settings to ensure that 3G isn't disabled. If No, try another SIM. Pls can airtel Sim work on BB powered by Verizon. Hello ,pls I can't sing in to yahoo messenger on my airtel bis ,nd I checked it out on the net its enabled "why is that happening? " Yes, an Airtel SIM will work on a BB customized for Verizon. Only issue is you might have to unlock the phone, which can be done for you at Computer Village or Saka. If you can access the internet, then you'll need to reinstall the Yahoo Messenger. Hi Chinazor, that's serious. You might need to go to an Airtel customer centre. Pls can I use Airtel bis on my Nokia Lumia? Yes, you can use Airtel BIS on your Nokia Lumia phone. The special Airtel BIS 2GB plan is unique, it will work on your Nokia Lumia but may not be out of the box. Airtel's now has BIS 1 Month pack with 2GB data bundle for N1,500. Subscription code is *440*16#. But there's the special edition of that, which gives you 4GB for the same N1,500 and lasts for 2 months. It's BIS 1 Month + 1 Month bonus, subscription code is *440*161# and price is N1,500 (same as the 2GB one). @olafusi will the airtel special edition 4GB plan work on Z10? I'm not sure it will work for Z10. You might have to call Airtel customer care. Also make sure you speak to about 4 different customer care agents, so you'll be able to pick the most occurring answer as the valid answer. Thanks Olafusi. I will do that. Hello, will the special Airtel BIS 2GB plan work on an Android phone? What about the special edition 4GB plan? Thanks for the help. I heard that the two plans work on android phones. But you might need to top-up with a 10MB data plan in some exceptional cases. Pls can airtel bis work on java phone? Please explain how I can use 1500 airtel to subscribe for the 4g and 2 months duration. Yes, the Airtel bis data bundle will work on a java phone. The subscription code is *440*161# and price is N1,500. Hello Olafusi, I need help o! just activated air 2GB. Its not working and i tried the 10MB daily plan but each and every time i try activating it with *141*712*11, it keep giving me this message ''you can only switch between day, night and weekend plans after exhausting your bundle''. is there any other code i can use. STEP 1: Verify that you really have the 2GB BIS bundle by dialing *123*10# It will display the data bundle you have. STEP 3: Try the SIM on a blackberry phone to see if the data will work. STEP 4: Give me your feedback. 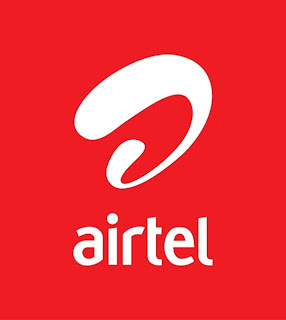 I still use my Airtel BIS on my android phone and computer. I've got a colleague that does too. If at the end of our troubleshooting, it doesn't work I'll refund the subscription money. You subscribed based on my recommendation. Step 1 and 2 verified and ok. I will try step 3 when i get home and i'll give you feed back. Thanks for the quick response. My sim is working perfectly in a blackberry (9800) phone. What can be the problem? I'm thinking it's the settings. What phone is the other one? And can you type here the details of the internet profile setting? Dial *141*712*0# to see what current bundle it's talking about. I beginning to enjoy this. I'm sure we'll soon figure out what's wrong. The message I'm getting after dialing that code is "you have 6gig left of your data bundle plan. Your bundle expires on 24 Feb 2014. Airtel. That 6GB is pure data pack, not tied to BB. Thanks again for your help Olafusi. I guess the problem was the network. Everything is working perfectly at the moment. Thanks for thinking I could be of help. I'm glad you can now enjoy the data bundle. I know how it feels like when you've a data plan subscribed and you can't use it. It's worse than not having a data plan at all. Hi,I have a data plan that was working on my lumia phone now is N̶̲̥̅̊o more working stead it will remove my credit and leave the data but it works on my BB curve2 what can I do please??? pls do u hv any explanation about dis news of deactivating no BB device from airtel BIS plan? will d 2GB still work? Airtel is deactivating the BIS data bundle on non-BB devices. Going by the official news from Airtel, it won't work that way anymore. Once you put the SIM in a device that is not a blackberry phone, the data bundle won't work. You'll be charged straight from your phone credit. How far guys? Is airtel still working? I use a z10, it's a BlackBerry device and i guess we are exempted. I am sending this post with it. Pld is there any bb plan apart from airtel that works on android phones? Mine is also still working on my android phone and PC. Airtel has a cheap plan for BBM on Android, but it's just for BBM. You won't be able to access the internet via it. Pls bro can i subcribe to MTN BIS On my ANDRIOD Or i should remove my sim card and then put it to another BB for the subscription? MTN BIS doesn't work for Android (at least, out of the box). I won't advise you to subscribe if the plan is to use it on your android phone. Yeah, it works on the Tecno (I mean the Airtel BIS plan, till they truly block it). Hi, I recently port from mtn to airtel only for data plans. My phone is Samsung s3. After recharging a voucher of N2k, i activated the BIS one month pack by *440*16# and the money got deducted saying "your airtel unlimited bb service is live". But later i start receiving messages for data usage and the money was/is really getting deducted from my main account. Any suggestion or solution pls..
Bro please with the airtel social plan on my airtel sim, can I insert it in an airtel modem and use it to browse on pc? Yeah. Well, worked for me. Plz could you list d networks that my verizon 9930 bb could work with on bis? Plsssss......can airtel BIS work on my Nokia Lumia(Windows Phone)???? pls. can i have a code for airtel bsm for 1000 to be used with system. its functional.. help and hw many gige.. Sorry for my delayed response. The Airtel BIS plans still work on PC. Will also work on your Verizon BB, Q10, Nokia Lumia and Android phones. Mine is currently in use on my Samsung Galaxy S2. The N1,000 BIS will get you 350MB. I will advice you go for the N1,400 BIS which gets you 1GB data bundle. Hi,I jst went for the N1,400 BIS for my curve but I wasn't given any MB when I access the internet,money is removed from my airtime.Pls why is this so? Pls bro, how can I cancel an active subsciption? Thanks. is the airtel special bis edition still working/available? please I subscribed for airtel BlackBerry plan of 1000 for 3Gig on my BlackBerry Z3, up till now it's not working since five days ago.. any assistance plz?